1. 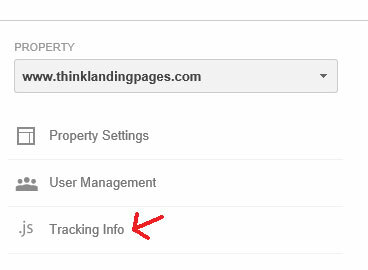 Click on the admin link on the top of the Google Analytics menu. 3. Highlight and copy your Google Analytics tracking code. 4. Go the your landing pages Settings page (Settings>Landing Page Pro Options). Paste your tracking code in the Custom Code/Analytics box and save.